Joan Greening is an award winning playwright who has created situation comedies for ITV including ‘The Cabbage Patch’ and ‘Troubles and Strife’. Her theatre plays are performed nationally and internationally. Last year a new comedy ‘Madame Blavatsky Lives’ had an extensive tour and is now being performed in Australia.. A historical play ‘Mistresses’ has recently been produced at Kings Head Theatre, Islington and is now on tour. Another comedy ‘The Book Club of Little Witterington’ is being performed in Washington DC and recently won Best Comedy at the Maidenhead Festival. Her latest comedy, "D.I.Y" was recently performed by the Pepperpot Players at Upton-on-Severn. Jef played in rock bands, built a successful business and became an actor. He appeared in TV, radio, film and theatre, including the West End. He also started an experimental theatre company and established and ran two open-air theatres in North London. His writing has included a number of plays for Soapbox Theatre, E15, and various venues on the London Fringe, The Round Festival Dorset, Stratford (on Avon) Festival. He is a regular contributor to “Art In Devon” and is currently concentrating on writing. His latest creation, "Percy" about the view of life from inside a budgie's cage, scooped ten awards recently at various Somerset One Act festivals. Download first part of "Percy"
Chris is a lecturer in languages, literature and cultural history for a number of universities and also works as a freelance lecturer. He was born in Norwich, studied at Oxford and has a Ph.D. from Durham. He currently splits his time between Leeds, Durham and Norwich. He has written a number of plays in which he looks at the lighter and also the darker side of 'reality' and also looks at the struggles people have in communicating with one another. His influences are Pinter, Anouilh, Ionesco and Beckett, though he may also have been influenced by Shakespeare. Chris also treads the boards himself and recently won a Best Actor award at the Richmond Drama Festival. Tony started life as a drama teacher before venturing outside academia to join the local police force. He continued his interest in drama by taking lots of roles in the local amateur group but the boredom of shift work soon led to him entering play-writing competitions and on seeing his work performed and subsequently published, he felt he'd found his true vocation. During his mid-age crisis at forty he almost escaped the police into the world of professional acting when, without telling anyone, he left a Police Training Centre in Coventry, where he was working and went to London to audition for a place at The Poor School (for actors). He was pleased to be the only one of his group to be offered a place but with teenage children to support, he then didn't have the courage to escape from the manacles of the steady salary and had to reluctantly return to the militaristic world of the Police Training Centre. There, though he'd been through the hoops of exams and part-time law degree, he didnt get on as he wished and after another promotion rebuff he used the centre's ageing photocopier without permission for one of his latest scripts, was challenged the next day and naively told the truth, hoping for clemency. It didnt come and after an internal enquiry they unceremoniously sent him back to his own force. He is extremely pleased to say that he later had to revisit Coventry to see one of his plays (unfortunately not the illicit one) being performed there. His work has now been performed around the UK and even in Australia and his best success to date was when "My Brother's Keeper" reached the final round of a competition in Pittsburgh, USA, to be subsequently published in Holland & Belgium. (website http://www.tonybreeze.co.uk) He is also the prime mover and current editor of this website. Download first part of "The Reluctant Emigre"
Wendy has been in theatre most of her life, starting out as a dancer and choreographer working in the professional and non-professional arena in the UK and abroad. In 1999 she ventured in to the world of counselling where she studied to become a professional Humanistic Counsellor and later a Drama Therapist. She has since written a book tackling the issues of bullying which was published in America and is continuing to write a series on the subject capturing children’s imagination. In 2011 she took the musical “ I Love You, You’re Perfect - Now Change!” to Edinburgh where she won a four-star rating. Wendy’s passion has always been the work of Jane Austen and the Bronte’s and ten years ago she made her debut as a director directing “Pride and Prejudice” and other Austen adaptations in the UK and abroad for which she won awards in the 2006 Royal Naval Drama Festival. In 2010 she started her career as a playwright with her own adaptation of “Persuasion” which was performed at the Jane Austen House Museum in 2012. Such was the appreciation that she was asked to perform her own adaptation of “Pride and Prejudice” the following year for the two hundredth anniversary. Wendy’s ambition is to write adaptations of all Jane Austen’s novels while researching her own play “Dear Aunty Jane”. Christine, who lives in Cornwall, was trained at the Central School of Speech and Drama and has worked in state schools, a theatre school and in private practice. She was a member of the Guild of Drama Adjudicators from 1975 - 2,000, adjudicating both locally and nationally. 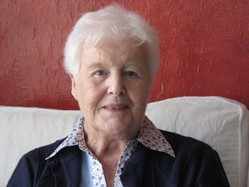 She has written a number of plays, several of which have rceived top national awards. "The Falmouth Letters" is also now available in novel format from New Generation Publishing Co.
Download first part of "Below Stage"
Jeffrey holds a B.A. degree, a Certificate of Education, and an Advanced Certificate of Speech and Drama from the Central School of Speech and Drama. He was Head of English in three schools and Head of Drama in one. He served as an Education Officer in Kenya for two years. He is an amateur actor and has taken many roles. He has managed two theatre groups and is an experienced director. Since his retirement, he has concentrated on his writing and has published several general novels, six Westerns, a collection of short stories, a number of plays, and numerous poems. Some of 'Voices in the Tide' poems were commissioned as songs for the Kegelstadt Trio. He is available to speak about writing or to give advice on theatre directing. Based in Ipswich, UK, Sally recently co-authored a site-specific play: “Thicknesse – friend or foe?” which was an Arts Council funded production at Landguard Fort in Felixstowe. The play dramatises local history using music of the period and film footage.She received an Arts Council Script development award for a feature length film script, Someone Awake Somewhere that explores the exploitation of a young immigrant worker. A prize-winner in BBC /Eastern Arts competition, her radio play The Wall was broadcasted by the BBC. A stage play, Codes of Practice, toured the major theatres in East Anglia and she has co-authored a play, Trojan Whores with Woven Theatre Company, presented at the Pulse Festival, New Wolsey Theatre and later performed at the Courtyard Theatre, London. A short audio/visual piece, The Servant’s Tale was presented as an installation at the Mercury Theatre, Colchester.She is currently working with Woven Theatre to develop a play based on the relationship of the painter Gainsborough and Ann Ford, the subject of one of his most famous portraits. Peter Bridge is a retired Civil Servant living in Walton-on-Thames, who started writing only five years ago, initially as a hobby but later working with local Amateur Dramatic groups. His first play, ‘The Dating Agency’ was performed by The Desborough Players at Walton Playhouse on 10th and 11th of June 2011. Peter has now written over thirteen works both full-length and one-acts. He regularly writes pantomimes for BUPA and edits a magazine for his old school classmates. Charles is the youngest of three brothers and was born in Wakefield, Yorkshire. He went to the local Secondary Modern School and was an ‘average’ pupil where his teachers often told him he could do better if he put his mind to it so at the age of nineteen he decided to join the RAF and spent twelve years serving Queen and Country. When he left the RAF he was unable to find a job so went to college and gained a HNC in engineering but was still unable to find the employment he wanted so as a temporary measure he started work for the Royal Mail. Seventeen years later he was forced to retire through ill health and in 2005 he moved to the south of Spain with his family for health reasons. In 2008 he was persuaded to join the local theatre group at Albox: ‘The Luvvies.’ That was the year he started to write plays and sketches, two of which, ‘The Medium, and The Con’, were performed by The Luvvies as part of their Christmas show in 2008. In 2011 he started writing children’s stories and has so far had three ‘Harry the mouse’ stories published and self-published two more under a pseudonym. He is now sixty-two and looking forward to many more years of writing to come. 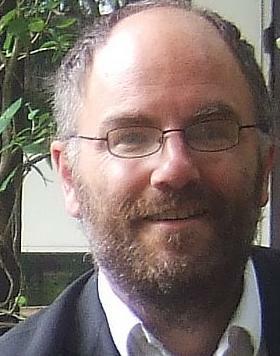 David was born and educated in Nottingham. Having briefly and unsuccessfully flirted with acting, he was asked to direct a university drama production because nobody else wanted to. He has been producing and directing ever since. Having volunteered once to direct a play for sixty school pupils, he discovered that there was little suitable material available so he wrote the show himself. He has been writing ever since.His plays have been produced all over the globe - in Britain, Ireland, the USA, Canada, Australia, South Africa, Germany, France and Italy - by all sorts of performers from amateur dramatic societies to stage schools, colleges, young farmers and youth groups. Having recently retired from teaching, he has threatened to write more. Download first part of "Revenge of the Shrew"
Lyn has been writing for about twelve years, mainly short stories and one-act plays. He lives in Abersychan, a village in Gwent and has been married for twenty-seven years. He’s a member of two amateur drama societies, Cwmbran Woodland Players and Newport Playgoers and has appeared in various plays and musicals over the last eight years. He also does readings of short stories, when invited, at local social groups. His one-act plays have been performed by other amateur drama societies and his first full length comedy has just been performed by Woodland Players. 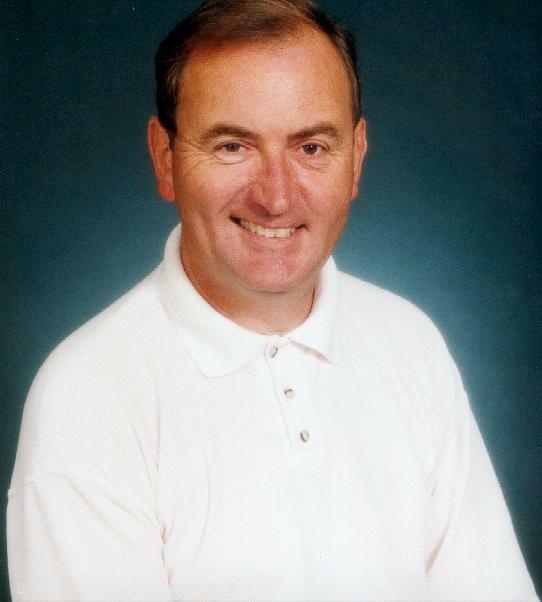 Les was born in Chelmsford Essex and went to college in Nottingham, trained to be a teacher of English and Drama and stayed in the East Midlands for thirty years, involved with local theatre groups and becoming Headteacher of a secondary school in Derby. He moved out to Cyprus in 1998 to take up post as Headteacher of a secondary school on the British Base at Dhekelia where he continued his interest in the theatre, mainly as an actor. After taking retirement he has started writing short fiction and also had ‘A Late Coffee’ produced by the local drama club. He lives with his wife Mo, a busy garden and several cats. Born Tiverton, Devon, Colin Barrow started his working life at Bicton College, Devon, on the staff of the garden department and rose to become a top national sports groundsman. Later in life he became a funeral director, running a branch by himself, but during all of these years of his working life theatre was his recreational love. Colin has worked with various drama society committees and done his time as president, chair and treasurer. This, he feels, gives him a great understanding of the logistics when writing scripts. Christine has "written" in most forms all her life. From childish scribblings, poetry, drama and dance she progressed to essays, emotive or political letters to the press and journalism. Fierce emotions were captured in her poetry and she has many published pieces. Am-dram involvement brought her into contact with many colourful characters - many of whom she has incorporated in her plays, in situations that she knew from personal involvement could work on stage and, above all, entertain! Real characters we all know. THE HEN NIGHT and THE GAME have both been performed, prior to publishing with great enthusiasm and received with much acclaim. She hopes you will enjoy performing these short plays as much as she enjoyed writing them. Download first part of "The Hen Night"